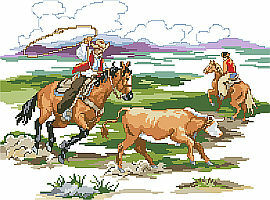 The old west is perfectly depicted in this large scene of cowboys roping cattle on the range. Designer Linda Gillum has created an elegant and classic design that will look great in any country or western décor. 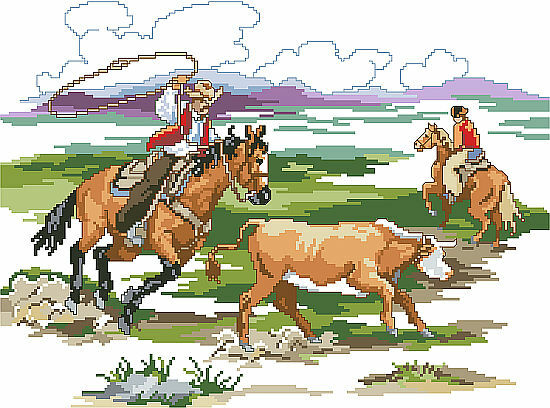 You will never tire of looking at this wonderful picture…yee ha!